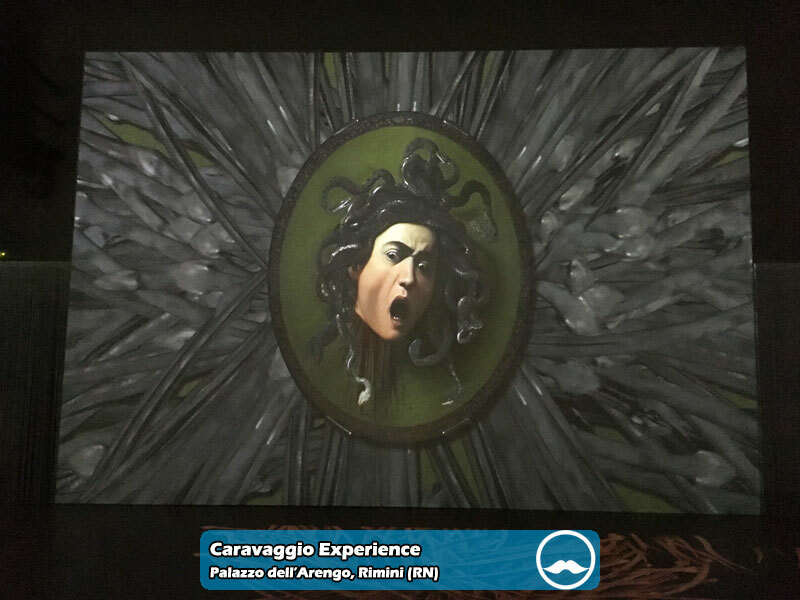 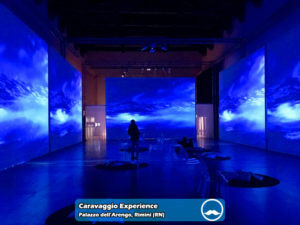 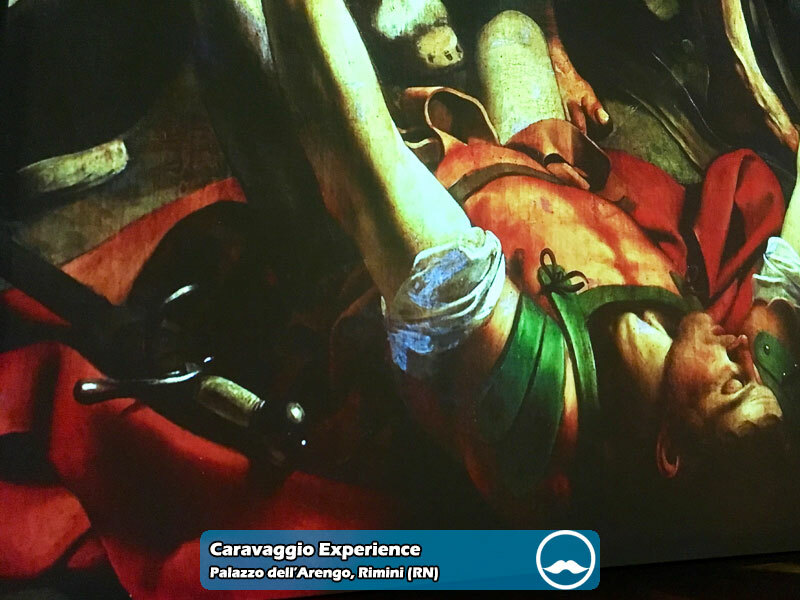 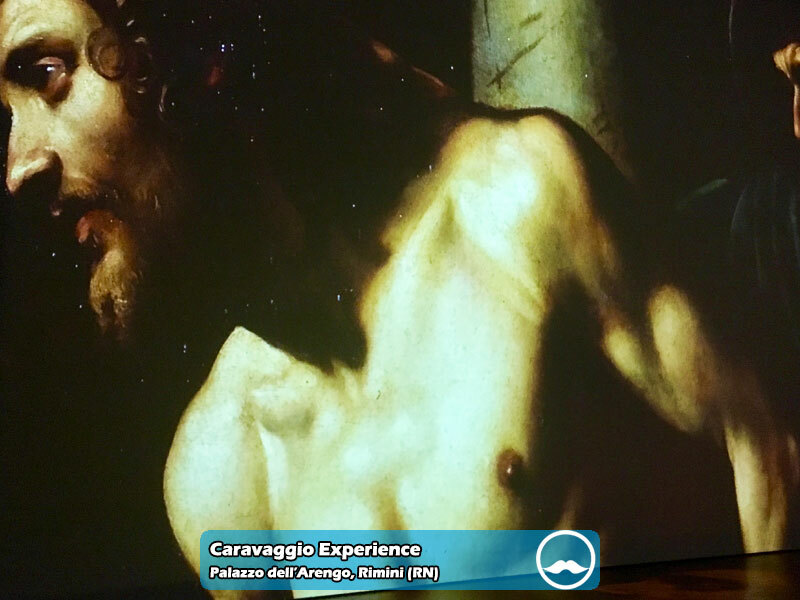 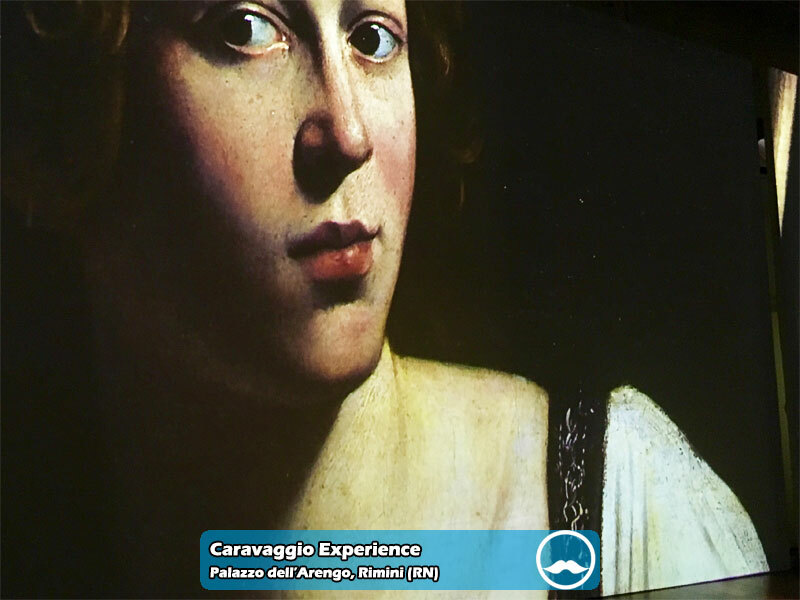 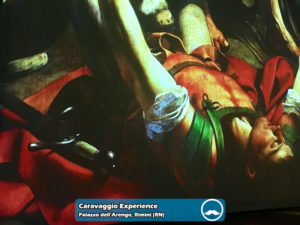 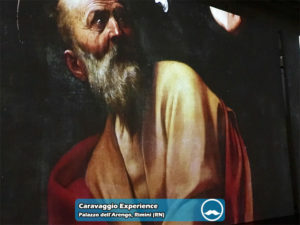 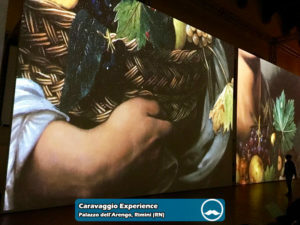 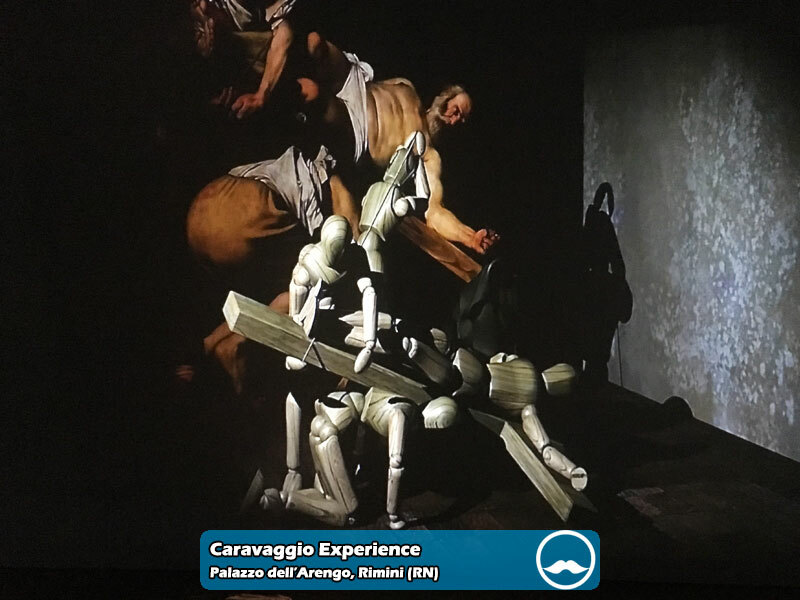 Rimini is the fourth city after Rome, Turin, and even Mexico City, to host the beautiful Caravaggio Experience video installation, dedicated to the works, techniques and life of the great Michelangelo Merisi. So one more time the masterpieces of the popular Lombard painter, better known as Caravaggio, come back to stage divided into eight different sections connected with the themes treated by the artist: Light, Naturalism, Narcissus Enigma, Theatricality, Medusa, Violence, The Places of Caravaggio, The Immortal Art by Caravaggio. 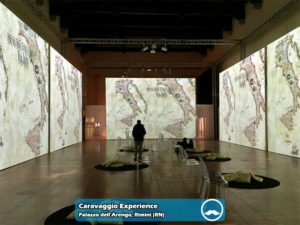 The sophisticated huge dimensions multi-projection system, made by The Fake Factory video artists on the evocative melodies by Stefano Saletti, has even been enriched by the olfactory fragrances selected by Officina Profumo – Farmaceutica di Santa Maria Novella as per consolidated tradition. It is hosted in the historical Arengo Palace, a Romanesque Gothic majestic building located in piazza Cavour, right in the centre of the city in Romagna. 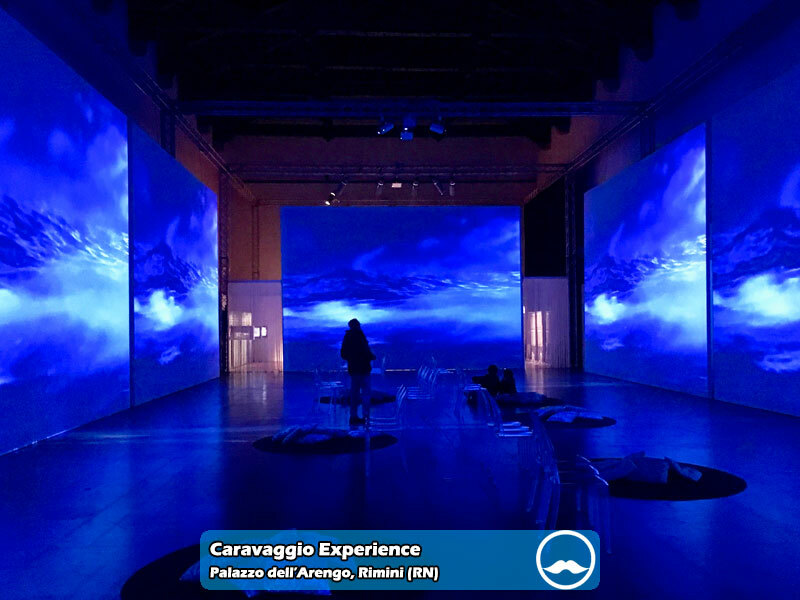 The exhibition, produced by Gruppo Maggioli together with Medialart designers, is viewable from 24th March to 28th October 2018 and takes advantage of the scientific advice by Claudio Strinati. 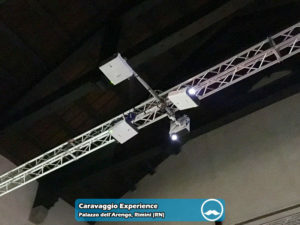 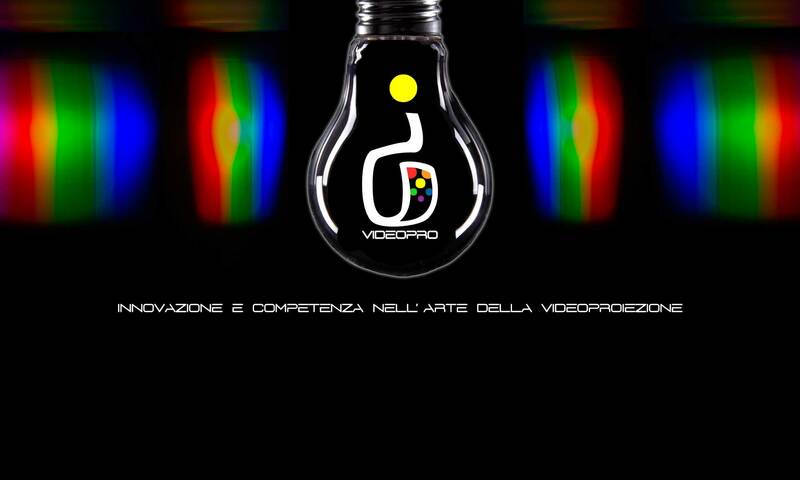 From the technical point of view IC Videopro provided 17 Canon video projectors belonging to the XEED family. 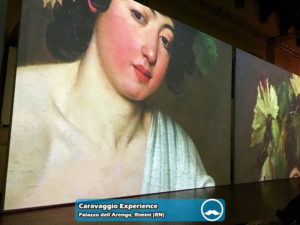 All the VPRs just mentioned are linked through the sublime multi projection system by Infinity Dimensions Technology.